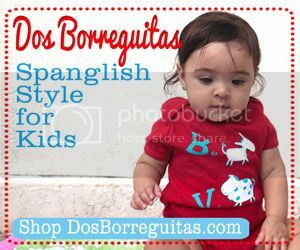 Have Bilingual Children Become a Commodity? With the rise of dual language education in the U.S., have bilingual children become a commodity? In other words, are children who walk into the dual language classroom already speaking two languages possessing a highly valued commodity: bilingualism? The question, though, still remains, whose bilingualism is valued? Is it the “middle class” students bilingualism or is it those students who come from “lower class” homes? To distinguish between “middle” and “lower” I’d like to clarify how I am referring to the two kinds of bilinguals. There are those whose parents have a formal education and belong to a certain (higher) economic bracket and those whose parents have a limited formal education and come from lower economic brackets, generally speaking. Both bilinguals are what we, in academia, call heritage-speakers of a minority language (like Spanish). This past week my little girl completed her first year at Escuelita del Alma. At the end of each year the escuelita (little school) puts on a recital where each classroom dances to a Spanish song. 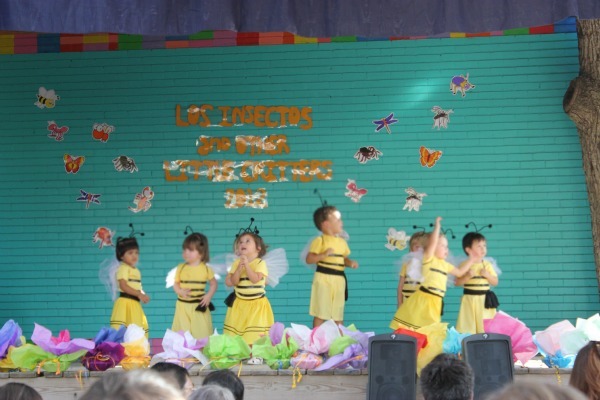 The theme was “Los Insectos….and Other Little Critters.” One of the many reasons why I love and chose this escuelita for my daughter is because they value linguistic diversity. As you can see in the very title of the production there is a code-switch: Spanish and English are used in a single phrase. I love that because it reflects a common linguistic feature (code-switching) of the bilingual community we live in here in central Texas. In an earlier post I wrote about my experience while visiting another Spanish immersion school before deciding where my daughter would attend. It was at that other school where I was informed “We don’t use Tex-Mex here.” What they failed to realize is the importance in being able to communicate with members of our local community, in addition to being able to perform linguistically in academic settings, like the classroom. For this reason I decided to enroll my daughter elsewhere, but also because they insulted a key feature of my linguistic repertoire! My parents were or would be categorized as lower class Mexican immigrants and I was/am a heritage-speaker of Spanish, though when I was in elementary school in the 80’s dual language education was not an option. Now, I am a middle-class and highly educated parent of a daughter I am raising with multiple languages. I presume her multilingualism will be a highly valued commodity as local schools try to fill dual language classrooms with “native” Spanish-speakers. What I will continue to strive for, as a parent and academic, is placing greater value in the varying ways people use Spanish and English like we do in central Texas! Bravo to Illinois for Understanding Why Bilingual Education is Crucial! hi Suzanne, you brought up a great point in your post. When i am walking in the street with my son, whom i speak to in Spanish, i feel that people are trying to place me in a group… they are trying to distinguish which kind of Spanish speaker I am… am i a recent immigrant who speaks to her son in Spanish because I do not know English? or, am I a person who speaks English but chooses to teach her son Spanish? I honestly think that the bilingualism that is valued more is the bilingualism of the people who come from the second type of homes, where bilingualism is a choice. I think of course, that this stems from the ridiculous fears and prejudice that exists towards many recent immigrants. People are afraid of the other, and, whether we like it or not, Spanish is still seen as “the other” in many places. Me pasa lo mismo en la calle! I have even been told to speak “English only” at a local market! Thanks for sharing about your experience with your nene. Its nice to know Im not the only one ha ha. Ive seen the look of relief on peoples faces when they hear my English….asi es. I am not a native speaker of Spanish, so I can’t relate to the biases that various kinds of Spanish speakers must experience. I do have family members that don’t speak the most academic English, though. Having said that, I still prefer my daughter’s school to teach her only the most academic English and Spanish, because in my mind, school is for academics. But school isn’t the only place a child learns language, thank goodness. I heard a great NPR story about language use that started with a sound clip of Obama saying, “no, we straight” when a waitress on a campaign stop asked if he’d like his change. He’s a great example of a man that has learned to how effectively communicate to his audience, regardless of who it is. And from what I know of his education, I doubt his teachers ever taught him to say “we straight.” I don’t know if that’s a good analogy for what you are talking about in Spanish (maybe you were speaking exclusively of code-switching), but I thought of it immediately when I read your post. I do agree with you though that it’s a shame the negativity associated with it. Thanks for your comment When you say, “Having said that, I still prefer my daughter’s school to teach her only the most academic English and Spanish, because in my mind, school is for academics.” I think you have misunderstood my perspective. I am not saying SOLELY teach a local/vernacular version of Spanish INSTEAD of “academic” Spanish or English. What I am saying is finding ways (as teachers) to validate the vernacular language of Spanish or English so that children do not leave school each day thinking their parent speak “incorrectly” or a “bad” version of their home language. After all, language ideologies, like race are socially constructed, right? I think I understand what you are saying, and it sounds very parallel to Gloria Anzaldúa, the Chicana Theorist, in her book Boderland/ La Frontera she says, “So, if you really want to hurt me talk badly about my language.” She also breaks down like 6 different languages/dialects that she considers her language, including Tex-Mex. I like the idea that schools can reaffirm the vernacular Spanish. I mean, I grew up speaking Spanglish as well as Spanish and English (Spanglish is even listed as one of the languages I speak on facebook!). I mean, it is a mode of communication and okay so maybe we wouldn’t want our children to write formally in something like Spanglish (or Tex-Mex or whatever), but for casual communication in the community- seems reasonable. I think that focusing only on more academic Spanish & English can be quite elitist. And yes, speaking Spanish while brown is always a risk in these times when there is so much fear of immigrants and of anyone who is “other” – I hope it won’t always be so. It was the case when I was growing up in southern California (how many times did I hear people yell at my mother that she should go back where she came from??? too many), and unfortunately it’s gotten a bit worse lately, with the way that xenophobia has entered politics… ay. Someday, someday. We work towards a better world for our niños. And teaching them Spanish, bringing them up bilingual- it helps, I think. I am an immigrant and native Spanish speaker so maybe I have a different perspective than second generation Spanish speakers. Also, I live in an predominantly English community so my daily contact with the Spanish language other than my conversations with my small children, is very limited. I do not look down on people using Spanglish, nor do I automatically associate it with a social class. However, I have to admit I find it difficult to follow or to understand a conversation with someone using Spanglish. 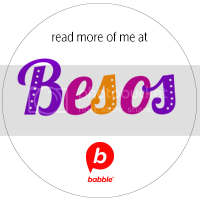 My goal is for my children to be able to use proper Spanish at all times and all places. I want my children to become fluent in Spanish and appreciate schools where proper academic Spanish is used. I do not think a school needs to teach/use Spanish dialects(such as Spanglish) for children to be aware of its existence. As the previous poster pointed out, school is not the only place where people learn/hear a language. But again, I do not live in a city where Spanglish is commonly heard. Me voy a atrever a ofrecer un punto de vista un poco diferente. Habiéndome criado tanto en México cómo en EE.UU., iendo a la escuela en ambos países alternado cada uno o dos años, yo siento que el hablar bien ambos idiomas tiene valor. Esto no quiere decir que uno deba sentirse superior a la gente que emplea cambio de registro/código. Incluso I do it as well when I’m with mi raza que también habla both languages. Pero más que nada es importante identificar el contexto de la interacción en cuestión. Cuando voy a México y me atrevo a hablar de buscar “parking” no falta quien me corriga y me diga que se dice “estacionamiento.” A menudo estas son las mismas personas que me tacharían de “pocho,” “bolillo” o simplemente “gringo.” Nada mas hay que saber a quien uno se dirige. No voy a presentarme a una entrevista de trabajo en México hablando “spanglish.” Por muy bilingüe que uno sea, el uso de cambio de registro en una situación inapropiada nunca es buena idea. Tampoco creo que sea algo que se tenga que aprender en un ambiente académico. La gente bilingüe lo aprende de manera natural en sus interacciones diarias con otros bilingues. Es algo que se aborbe del ambiente y nomas se da. No sé que opino sobre la escuela que mencionas que no permite el uso del “tex-mex,” tampoco me gustaría que aplicaran reglas draconianas para evitar que los niños hablen como quieran, paro a la vez no me gustaria que aceptaran como apropiados ensayos y trabajos mayores escritos en “spanglish” como algo aceptable (aunque entiendo que se trata de una escuela pre-escolar, pero tu entiendes). 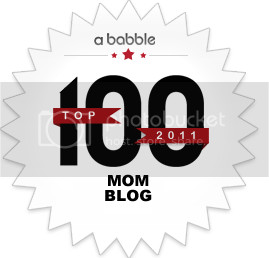 this weblog on regular basis to get updated from hottest gossip. Suzanne Garcia Mateus is the proud mami of a one-plus-year old little girl whom she is ambitiously trying to raise with three languages. Her research interests as a doctoral student in bilingual and bicultural education and life experiences growing up with Mexican immigrant parents inspired her to create a blog, Interpretations of a Bilingual Life, in order to better understand the rich nuances that living with multiple languages offers. jhon mike on Lessons Learned at the Netflix Headquarters: They Do Have Content for Kids in Spanish! amarnath travels on Lessons Learned at the Netflix Headquarters: They Do Have Content for Kids in Spanish! kansizkopek on Lessons Learned at the Netflix Headquarters: They Do Have Content for Kids in Spanish! weź kredyt on Bienvenidos to SpanglishBaby! retail point on Lessons Learned at the Netflix Headquarters: They Do Have Content for Kids in Spanish!